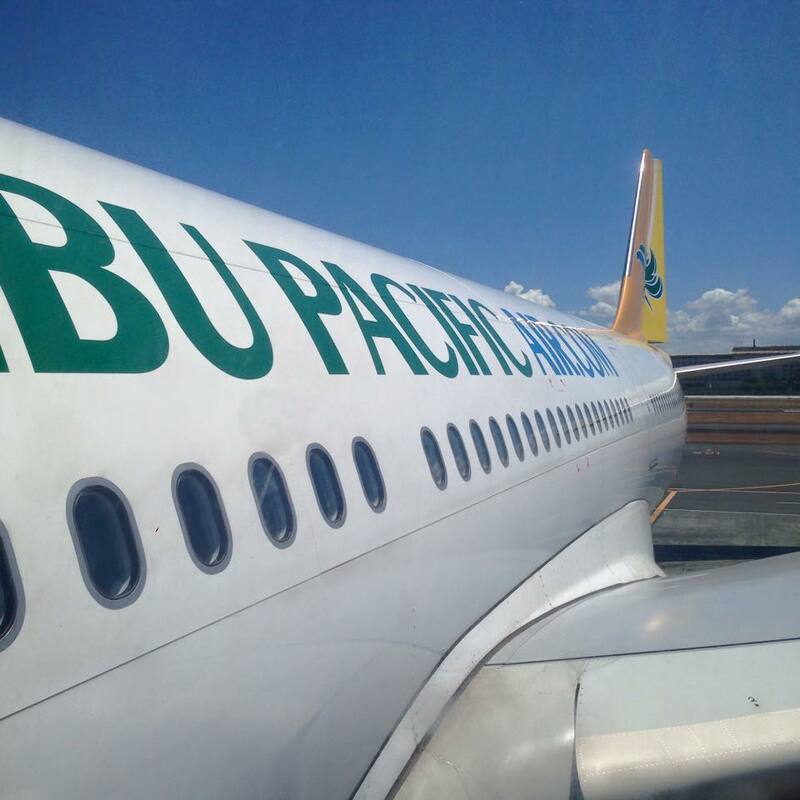 Just recently, Cebu Pacific Air crossed its 100 millionth passenger mark, showcasing the airline’s growing popularity within the Philippines and beyond. So, we were pleasantly surprised when we were offered by Cebu Air the opportunity to be flown from Singapore to Manila to catch Wanderland Arts and Music Festival in Makati last week. 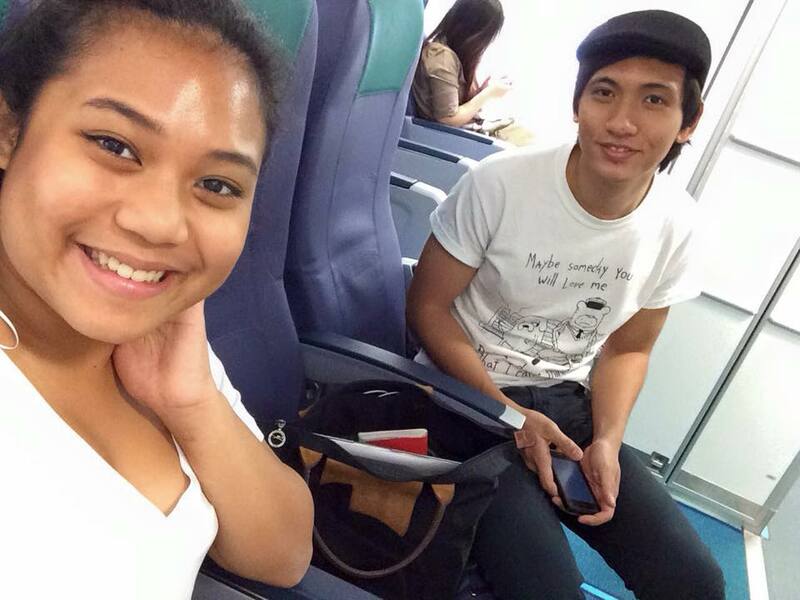 We embarked on a journey that started from Changi Airport to Manila’s Ninoy Aquino International Airport. On board the plane, we were greeted by friendly staff in their trademark bright yellow-and-khaki uniforms. 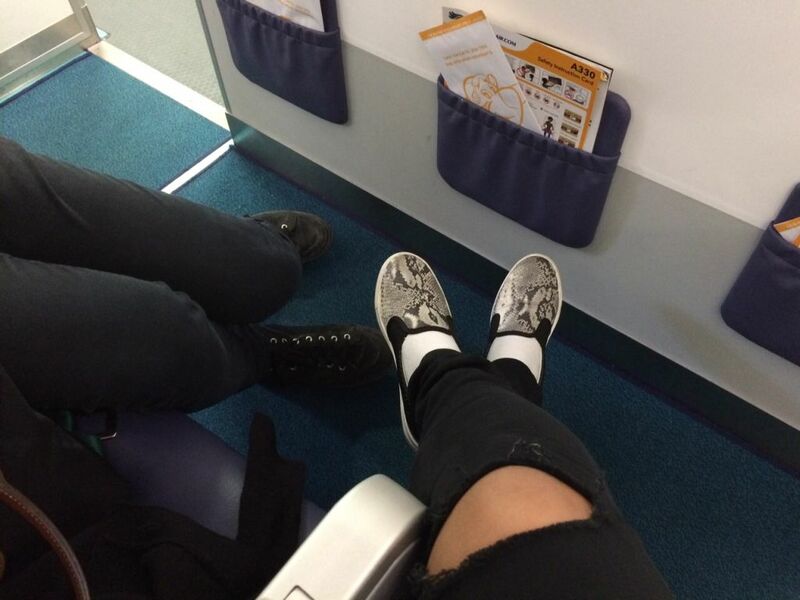 We were then ushered to the front – where the seats provided were comfortable, plush and adorned with generous legroom. Food was offered at a reasonable rate, and could be purchased from 250 pesos (S$7.00) to 400 pesos ($12.00), or online during ticket purchase. Ranging from local cuisine to international, passengers could choose from delicious fare such as Chicken Inasal, Baked Macaroni, and even Szechuan Style Noodles. For passengers on a budget, various snacks and cup noodles could be bought for as little as 135 pesos ($4.00). During mid-flight, we were given the bingo treatment and provided with Cebu Air’s very own “In-flight entertainment” – An amusing stewardess shooting questions over the PA system to passengers, gameshow-style – which passengers had to answer correctly. The winner (which unfortunately, was not us), received a purse embroidered with Cebu Air’s green and blue initials. The friendly staff answered to our every call. At one instance, a stewardess gave Isabelle her personal name-tag pin to remove a SIM card from her phone, no questions asked. Points for thinking out of the box, primary school-style! Service was frequent, and attendants went out of their way to accommodate passengers. Soon, we touched down at Ninoy Aquino Airport. Our short 3-½ hour journey went without a hiccup, and we were left extremely satisfied at the service provided by Cebu Air. Despite known more for its reputation of being a domestic carrier, the airline carrier performed favourably against other low-cost carriers around the region. From the friendly staff, the comfortable seats, to even the “in-flight entertainment”, Isabelle and I thoroughly enjoyed our flight. Settling down, we were soon on to our next mission – Wanderland Arts and Music Festival, and the Bandwagon Bus to Wanderland! Thanks Cebu Air, we’ll definitely fly again! We rate Cebu Air 3/5 stars, a decent carrier with friendly service. Thumbs up to the wide selection of food! 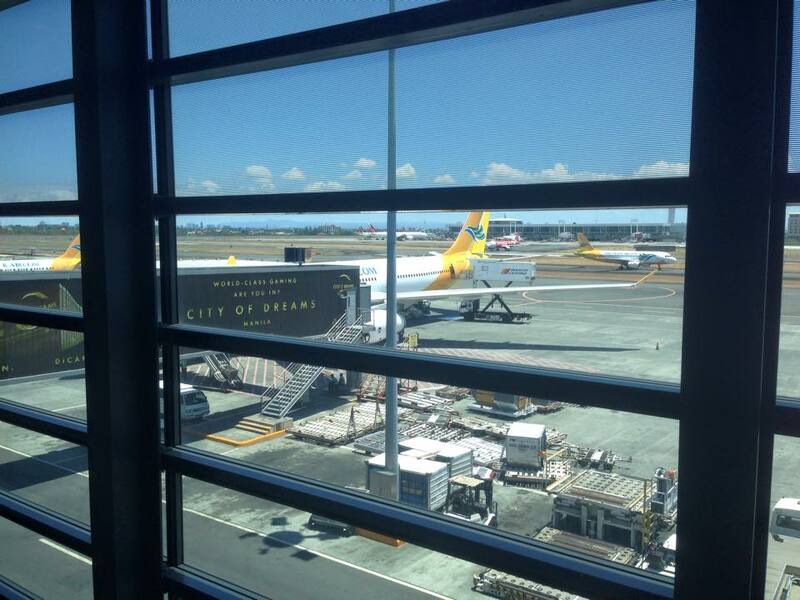 CEB flies from Singapore to Manila up to 32 times weekly. It also operates up to 7 weekly flights to both Cebu and Clark, as well as up to 3 weekly flights to Iloilo. For bookings and inquiries, guests can visit www.cebupacificair.com or call +65-3158-0808. The latest seat sales and updates may also be found on the Cebu Pacific Air official Facebook and Twitter pages. Featured image from Wikipedia Commons. Additional reporting by Isabelle Chan.